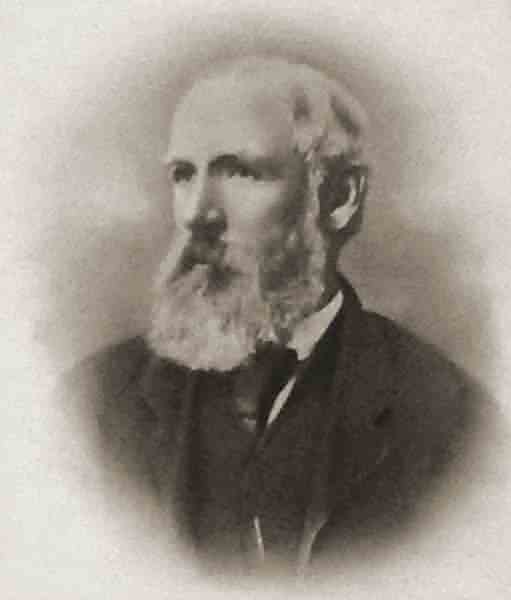 John Curtis was born in 1827 in Yeovil, the son of draper James Curtis Snr, originally from Fordingbridge, Hampshire, and his wife Elizabeth. John was baptised in St John's church on 21 November 1827. In the 1841 census James and Elizabeth were living above their draper's shop in the Borough with their children James Jnr, Elizabeth and John, together with two draper's assistants, a draper's apprentice and a domestic servant. John's mother, Elizabeth, died on 16 May 1847 and in the 1851 census John was employed as a draper's assistant in his father's drapery business in the Borough. He lived above the shop with his father and brother James. His aunt Sybilla Pope was housekeeper and three young male shop assistants and a domestic servant also lived on the premises. James Curtis Snr died in 1866 and after his death John moved in with his brother, James Jnr and his family in Hendford (see Gallery). The Post Office Directory of 1866 listed the brothers as 'James & John Curtis, Linen & Woolen Drapers of High Street' - it omitted the fact that the brothers were also undertakers. This was the brothers' only listing in a trade directory. There were several local press reports such as that in the 18 February 1870 edition of the Western Gazette, reporting on the funeral of John Ryall Mayo "Mr John Curtis, of the firm of Messrs James and John Curtis, was the undertaker." Both James and John retired around 1870 even though they were both only in their 40s. After retiring John, like his father and older brother before him, became heavily involved in local politics, both serving on the Town Council for over twenty years. In March 1865 he was appointed Secretary of the Yeovil Fire Brigade, later becoming its Captain. He retired as Captain of the Fire Brigade in May 1879 but took the role of Treasurer to the Fire Brigade until his death. He was a member of the Vestry of Holy Trinity and was Superintendent of the Trinity Church Sunday Schools. 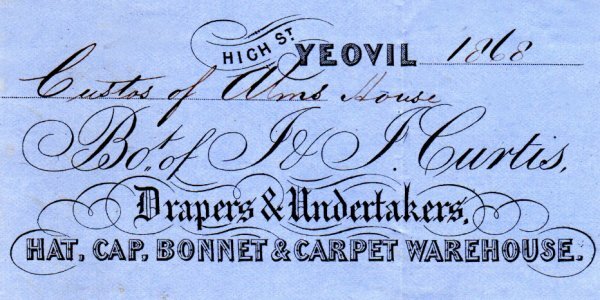 During the late 1860s and early 1870s was involved in managing and taking subscriptions to maintain the Yeovil soup kitchen. He was also one of the first members of the Yeovil School Board. In the 1871 census 49-year old James gave his occupation as 'Mayor, Alderman, Distributor of Stamps, Retired Draper, Landowner' while 43-year old John gave his as 'Retired Draper, Landowner and member of the School Board'. In January 1874 John was unanimously elected Secretary of the Yeovil Hospital and Dispensary. He later became Vice-President of the hospital. In 1876 he was, as his brother had been, elected Mayor of Yeovil, serving until 1878. In 1879 John was, again as his brother had been, appointed as a Borough Magistrate and the following year he was elected to serve as an Alderman. 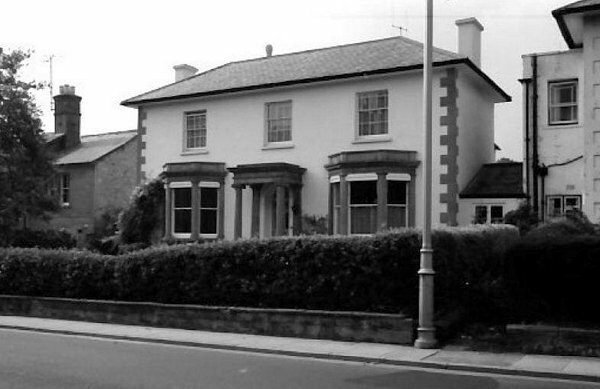 John's brother James died in 1888 and his widow Phoebe and John were in residence together at 57 Hendford, with a cook and a housemaid, from then on. In the 1891 census both gave their occupations as 'Living on Own Means' with John giving the additional information that he was a Justice of the Peace. 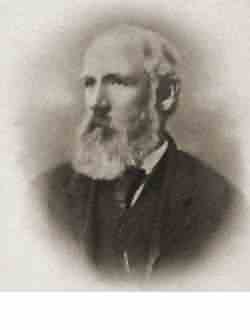 JJohn Curtis died on 20 May 1897. He was aged 69. The 1827 record of John Curtis' baptism in St John's register. 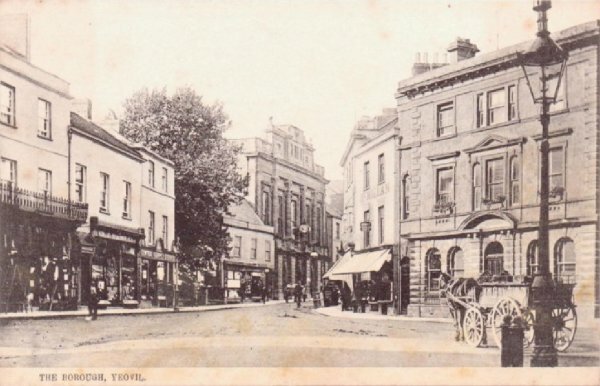 This postcard of the Borough dates to about 1905 and shows the premises of the Damon Brothers as the first two of the three buildings at left. The middle of the three is the shop with accommodation over that was James and John Curtis' drapers shop during the 1860s. 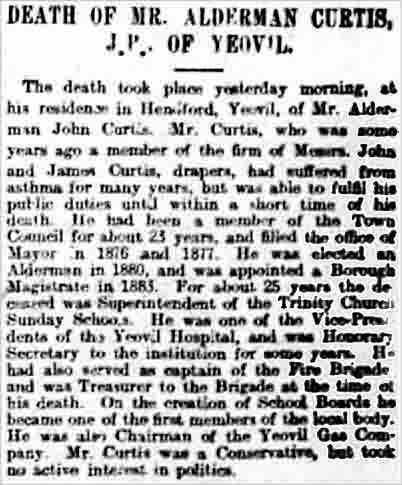 The obituary of John Curtis in the 21 May 1897 edition of the Exeter & Plymouth Gazette.